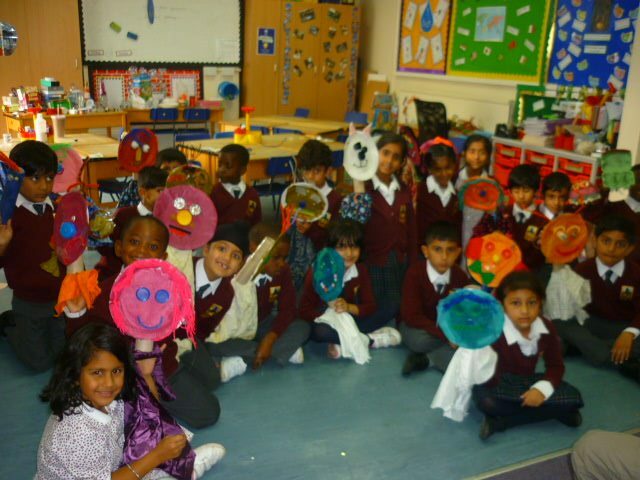 As part of an ‘Eco-Warriors’ topic Year 2 children have been learning about recycled materials. They were able to put into practice what they have learnt in a puppet making workshop run by Major Mustard. To begin with the children were shown how to make puppets from different recycled materials. They had to choose whether to make a puppet from a cardboard tube, paper plate or egg box. Major Mustard showed the children how to use each material and how to create the different features on their puppets. The classes spent the morning making puppets. This was the best part of the day! During the afternoon, they learnt how to bring their puppets to life by creating movements and voices for them. To end the day, the group all watched Major Mustard perform a puppet show using some of his own puppets.